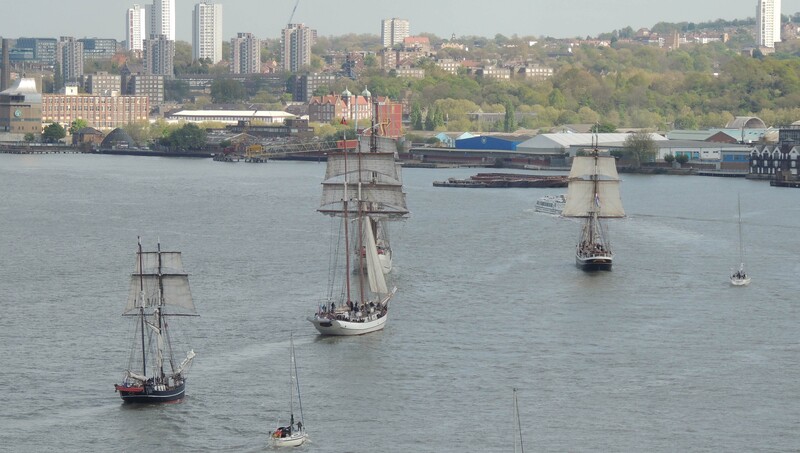 The Tall Ships leave Liverpool. 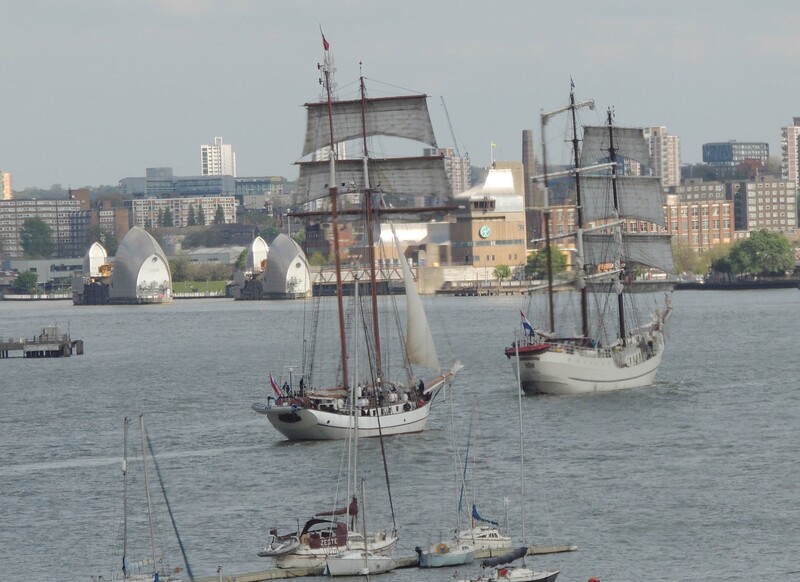 We are fortunate every couple of years to host the Tall Ships on the Thames riverfront at Greenwich, which is just a few miles from where I live. They are a truly wonderful sight. This year however their run takes them from Liverpool to Dublin and then onto Bordeaux in France. A Sloop launched at Sheerness in Kent in August 1878 she saw service in the Pacific from 1879-1883 before returning to the UK. 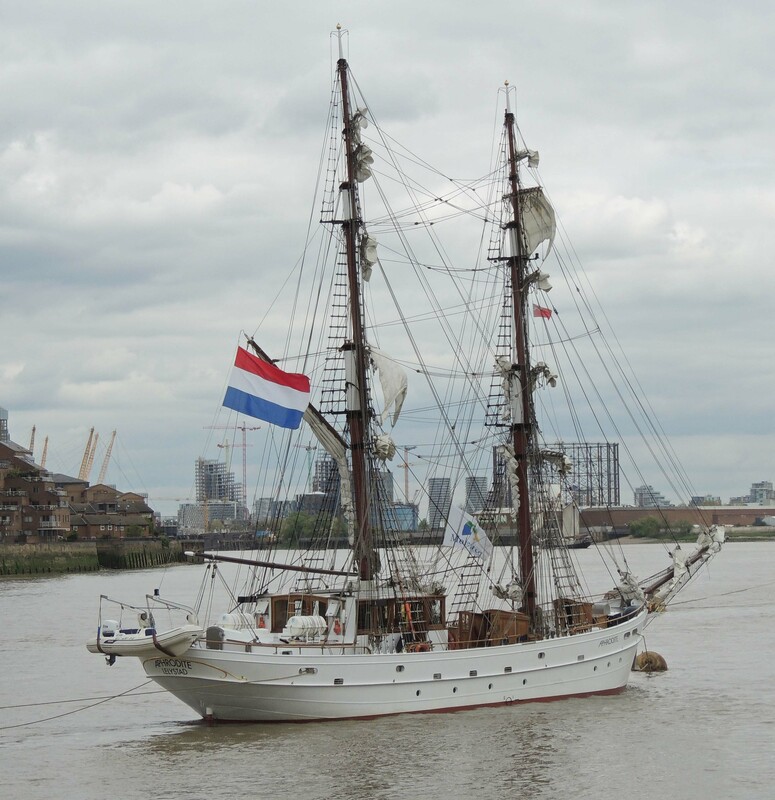 In 1885 she was sent to the Mediterranean sea and was used in anti-slavery patrols. She also saw action off the coast of the Sudan and Eygpt. From November 1888 she was assigned to carry out survey work in the Meditteranean Sea, which she did until 1891 and again from 1892-1895. 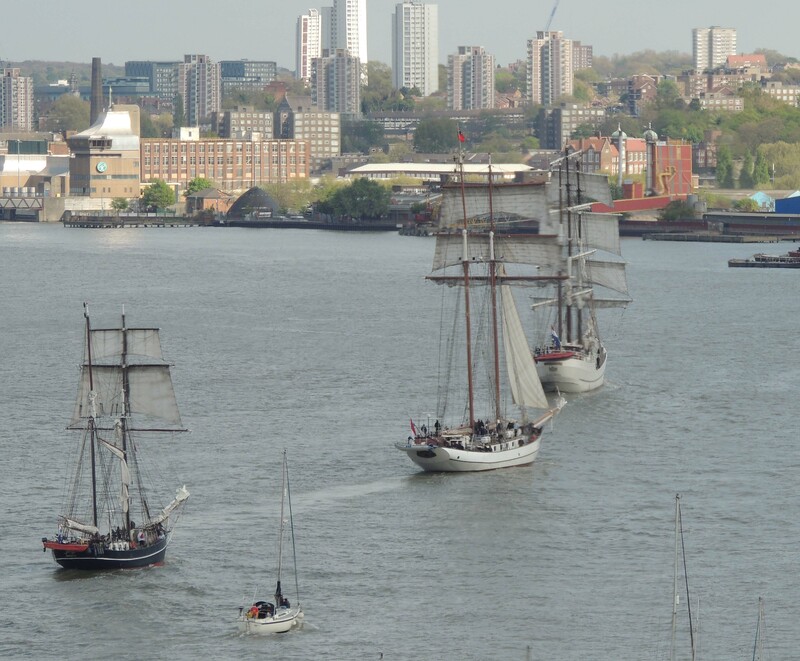 In March 1895 she returned to Chatham, where she was assigned to Harbour duties. 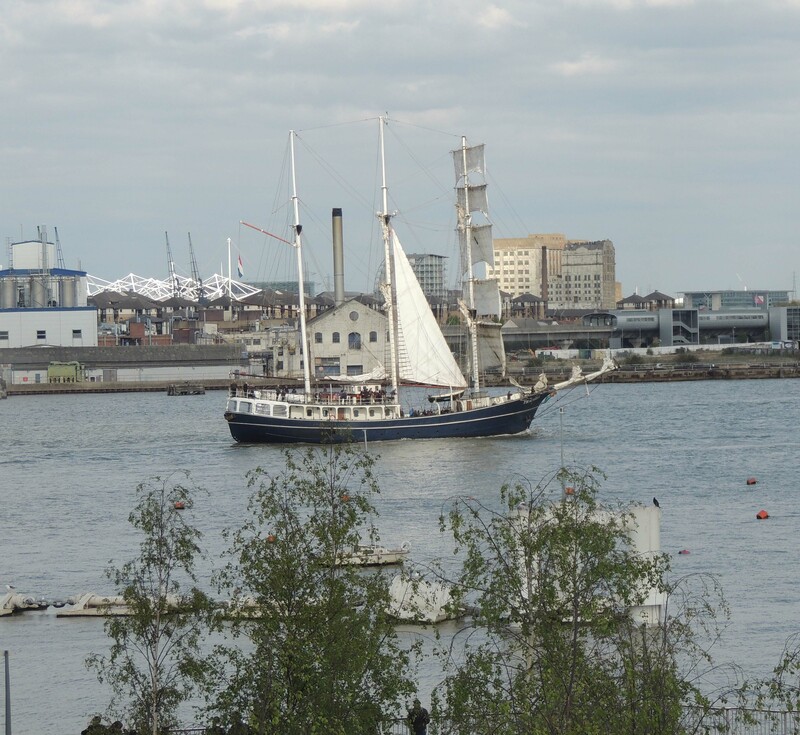 In 1900 she was used as accommodation by the South Eastern and Chatham Railway Co at Grain. 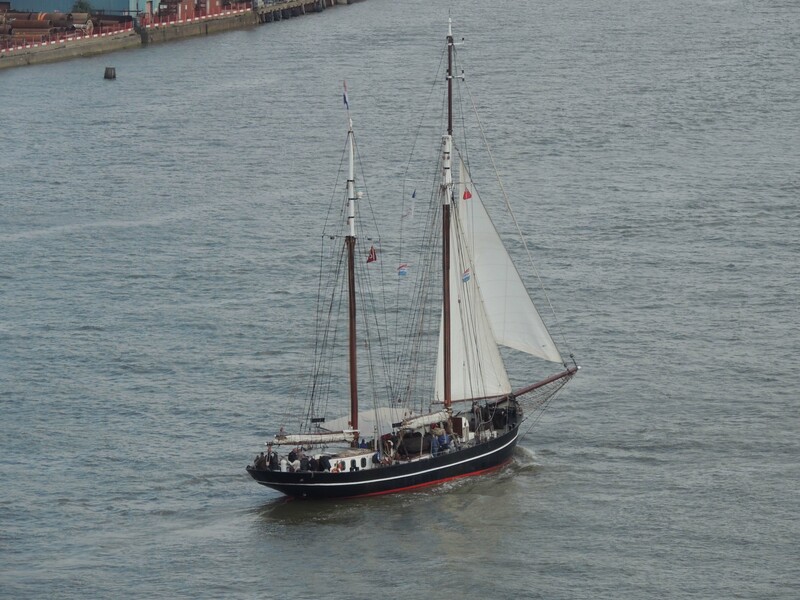 In 1903 she became the Royal Navy volunteer reserve drill ship moored in the London docks and was renamed HMS President after its predecessor in that role. She was relieved of that duty by HMS Buzzard in spring of 1911. 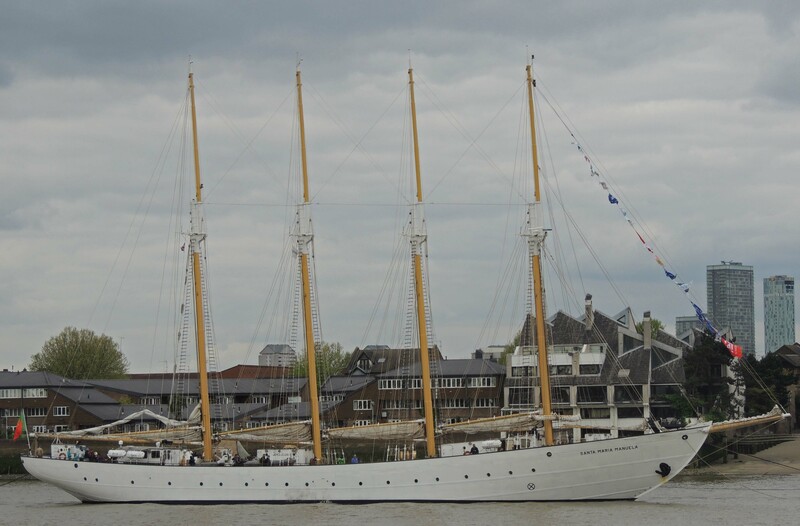 In 1913 she was loaned out as a training ship under the command of C B Fry, the famous Cricketer and transferred to the River Hamble where she served as a dormitory for boys training to join the Royal Navy. She remained at Hamble until the school closed in 1968. 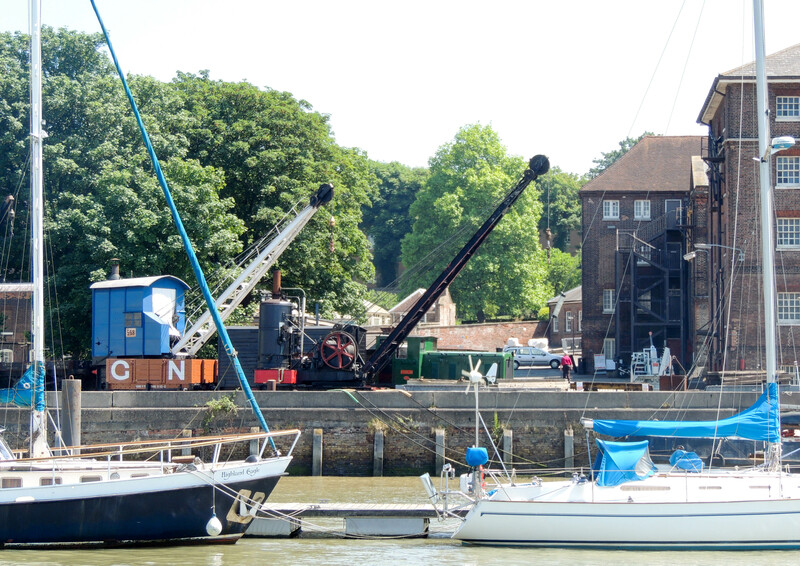 The ship was given to the Maritime Trust for restoration, the years in the Hamble having taken a toll on the structure. Restored to her 1888 glory she was, in 1994, passed onto the Chatham Historic Dockyard Trust where she is now on display. 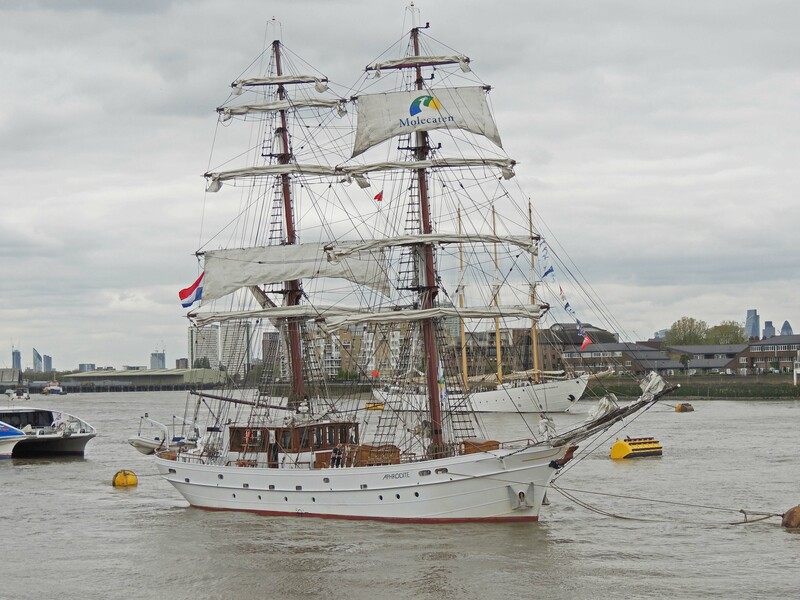 Last Friday went to Greenwich with Steve Evans to see the Cutty Sark. 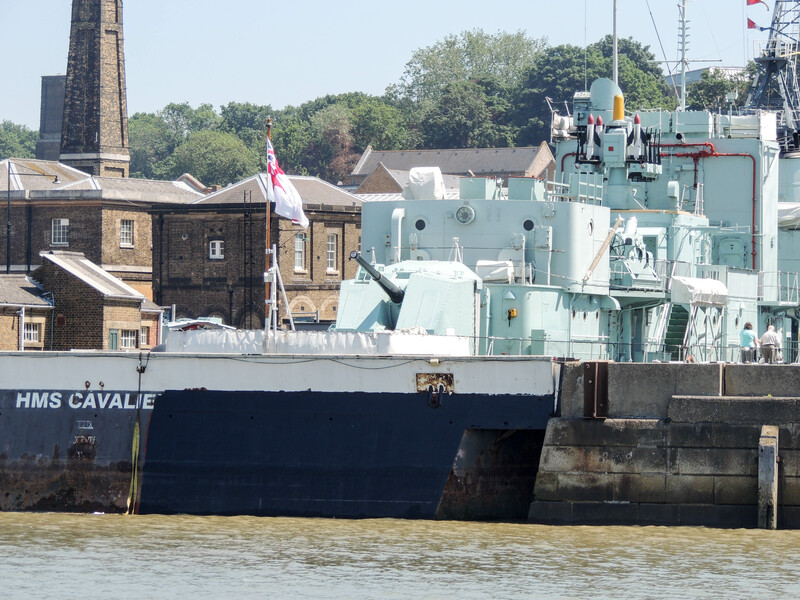 HMS Cavalier, a destroyer launched in 1944 which served for 28 years in the Atlantic, Pacific and Baltic oceans. 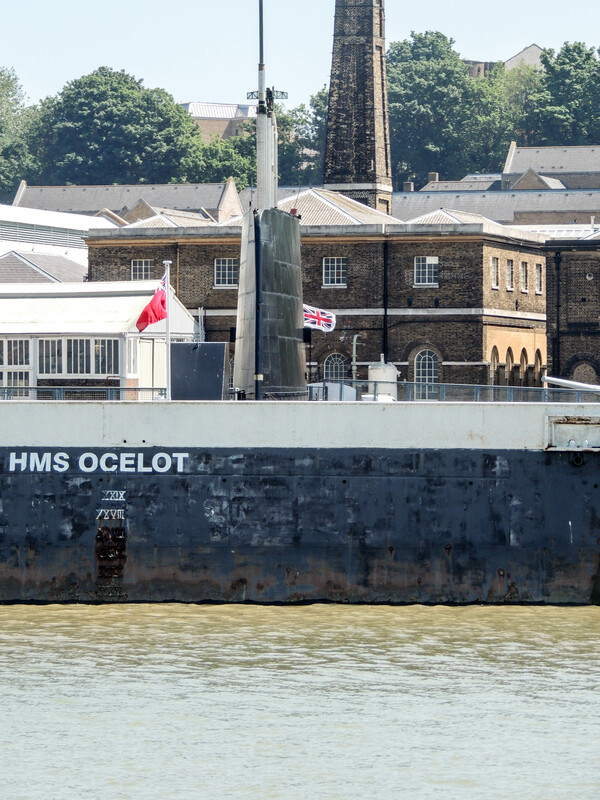 The tower of HMS Ocelot, a submarine, shows over the dock wall. 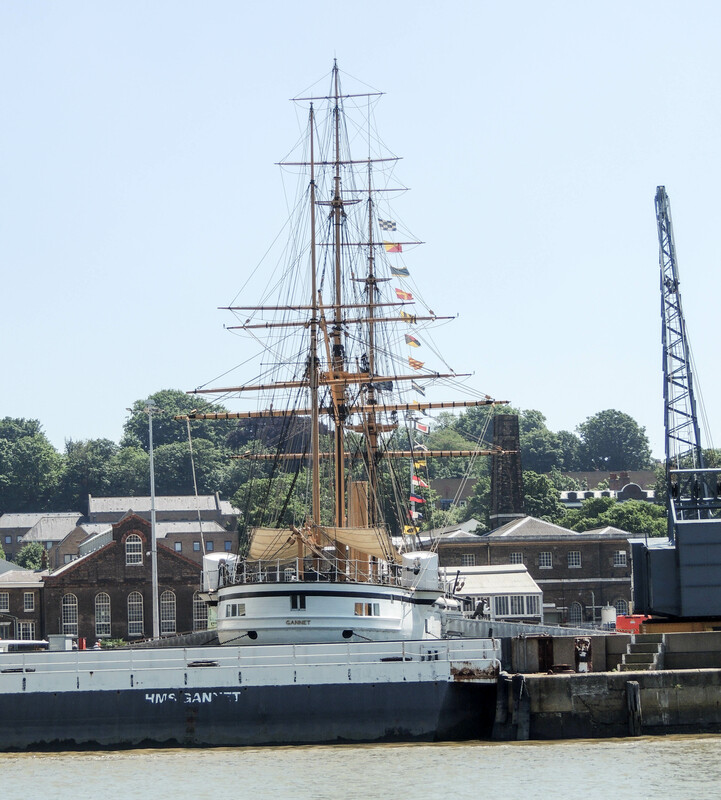 It was the last naval ship built in the Dockyard at Chatham. Launched 1962. HMS Gannet, a sloop, built at nearby Sheerness in 1878. Used as a patrol and communications boat. 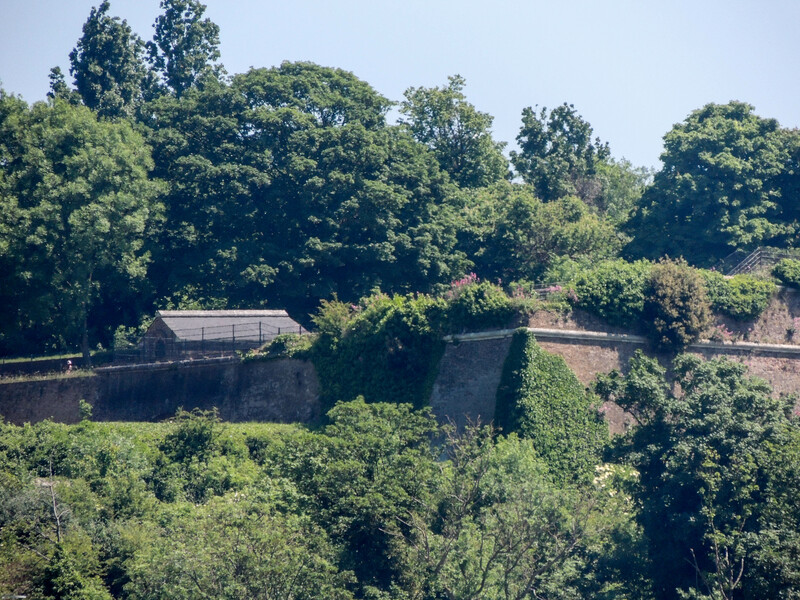 The Submarine sheds. 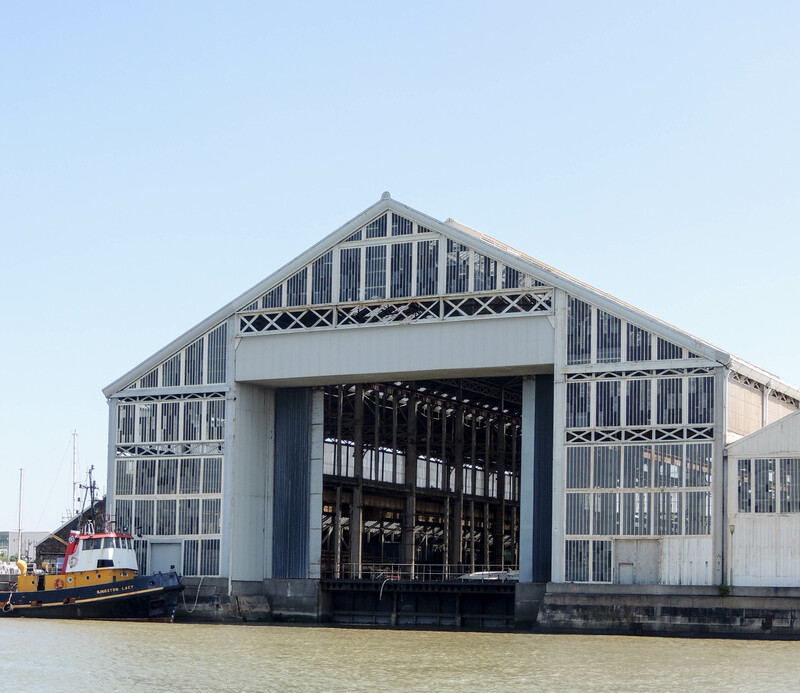 Now used as repair shops for ferry boats. 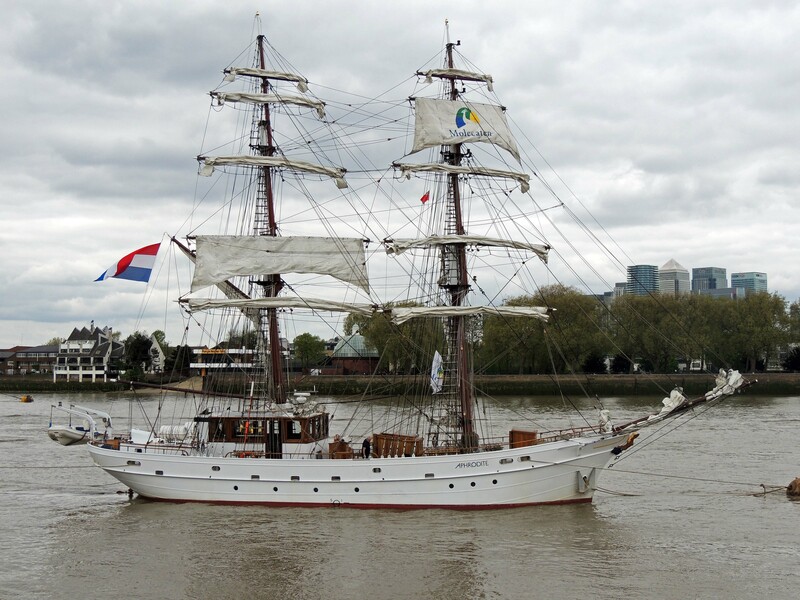 Aphrodite is a brig from the Netherlands which when not attending Tall Ships festivals cruises in the North Sea and Baltic carrying up to 16 passengers. 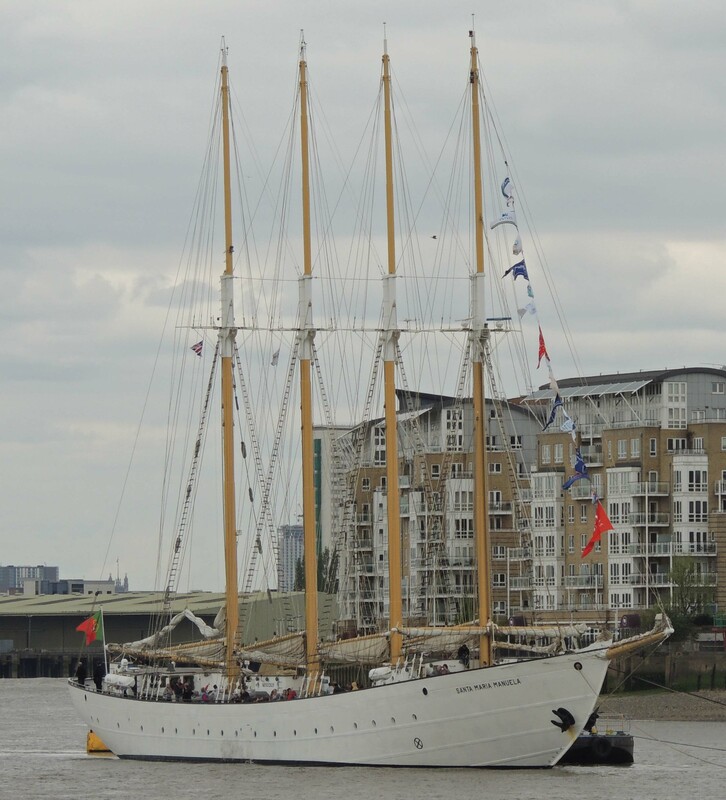 Santa Maria Manuela is a 4-masted Lugger from Portugal. Built in 1937 as a fishing boat, it worked as part of the Portuguese Newfoundland Fleet until 1993. It was then demasted and partially disassembled. 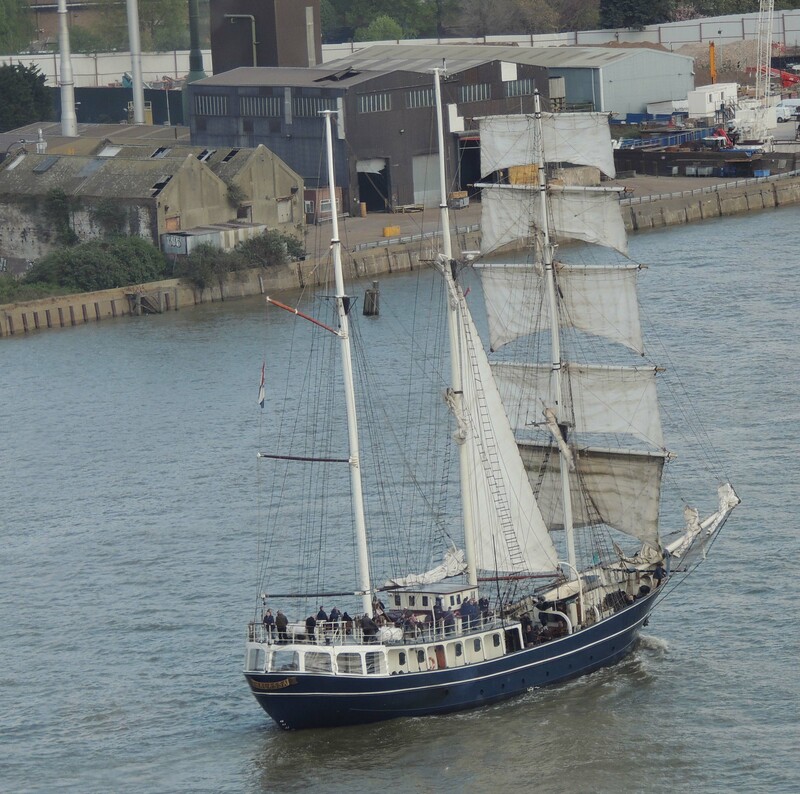 It lay unused until 2007 when a new owner embarked on a 3-year restoration programme and since 2010 it has been used as a training and cruise ship.